Sims (duh), Fallout, Skullgirls, cooking and writing. 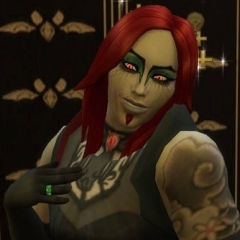 I haven't been around much cuz I haven't really been as enamored to play Sims as of late. I need to save up for a new TS4 EP! I'll stay in touch Red, don't worry!